1. Modular - perfect dimensions and design for the intended use. It was the only way to install a safe without 3 or 4 guys. 3. Delivery - was packaged and delivered neatly. There was some cosmetic damage in shipping but in a place that does not show. Nice to see an installation kit included. 1. There is a 1/4 inch gap in one corner that did not mate correctly. Disappointing. 2. Deceptive adverting; walls are not solid 9 gauge; rather they are two thin sheets spot welded together. 3. Typical Chinese quality of materials; sub-par metal with soft bolts, they are easily stripped. 4. Directions were written by a "man of few words". Need to have a better tech writer. 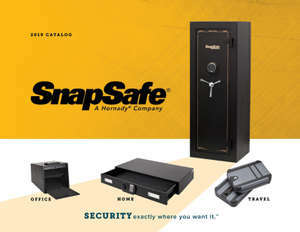 In summary I would buy this safe again because it is modular and does provide much more security than what I had. What would make it 5 star would be to use US steel and solid 9 gauge panels as is advertised. I would have opted for the better quality Zanotti safe but the dimensions of the Titan were perfect for my use so it was the only option.